Now you can read your SayPoint in your own language. 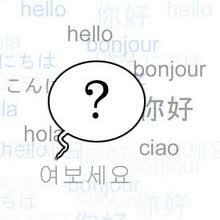 Visitors from all over the world other than English speaking areas can have a look in their native language. It has made possible with the help of Google translator, thanks for Google. Many content on SayPoint are related with different region of world and that bearing barrier of language in understanding them. Human is one all over the world and in my view there is no space for barriers between us. Although translator is attaché with this site but you may feel some problem in working of it. It is due fact that it is software not a human that understands emotion. It is universal fact that speech is an art and human is unique animals on earth to have it. This is god gifted and we must thanks for it. In exploring the possibilities to remove barrier of language it is mere an effort, so that one can understand at least them of posts.